It's been quiet on here for a while now. I've been in the huge process of moving! I've been in the new place for about a week now and all is well, though the studio is still in boxes. Hopefully I'll be tackling that this week and getting back into the swing of things shortly. 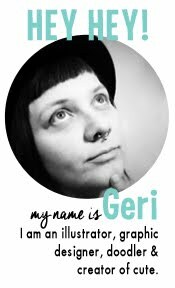 Through the craziness of packing, moving, and unpacking, I did have time to create a promo poster and postcard for an upcoming art show. 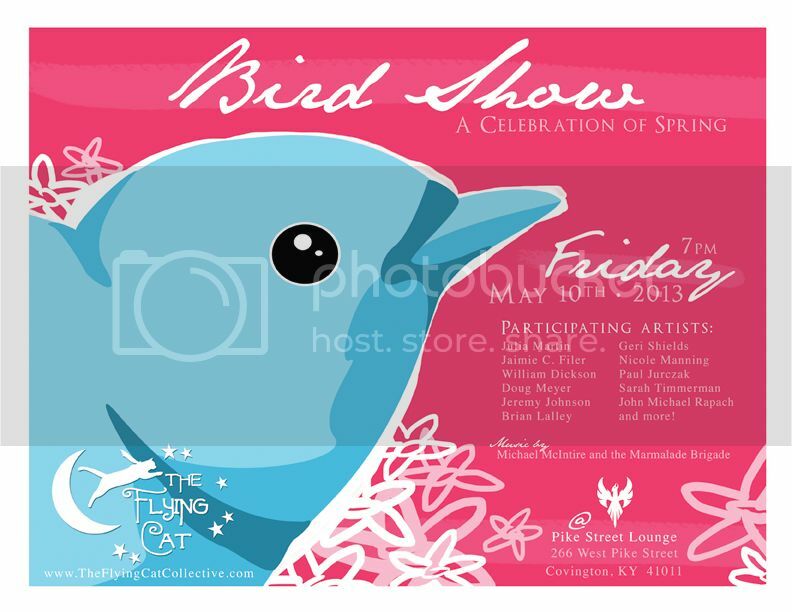 The Bird Show: A Celebration of Spring, is an art exhibit curated by The Flying Cat Collective and will be held at Pike Street Lounge in Covington, KY. I did not have a chance to complete new paintings for this event, but I will have at least one older work that has never been shown before on display for the duration of the show. I will also have a digital piece (basically the illustration for the promo) on display. Sadly, I won't be able to attend the opening, which is Friday, May 10th at 7pm, but there is sure to be some fabulous artwork see and talented artist to meet! If you're in the area, please do stop by! For more info, check The Flying Cat's website.